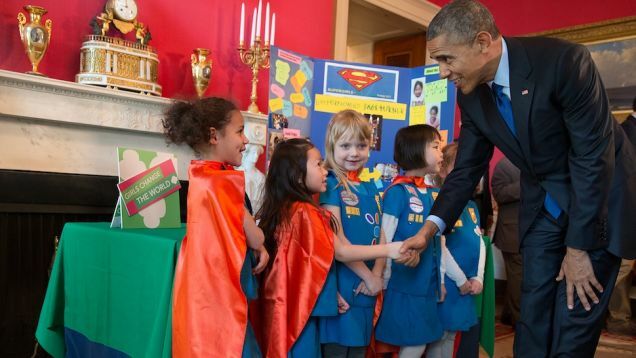 Girl Scouts are impressing the White House, and they’re doing it with science! Today is the sixth and final White House Science Fair of the Obama administration, and once again, Girl Scouts will be on hand to represent our Movement and demonstrate how they’re using their STEM skills to build the world of tomorrow. 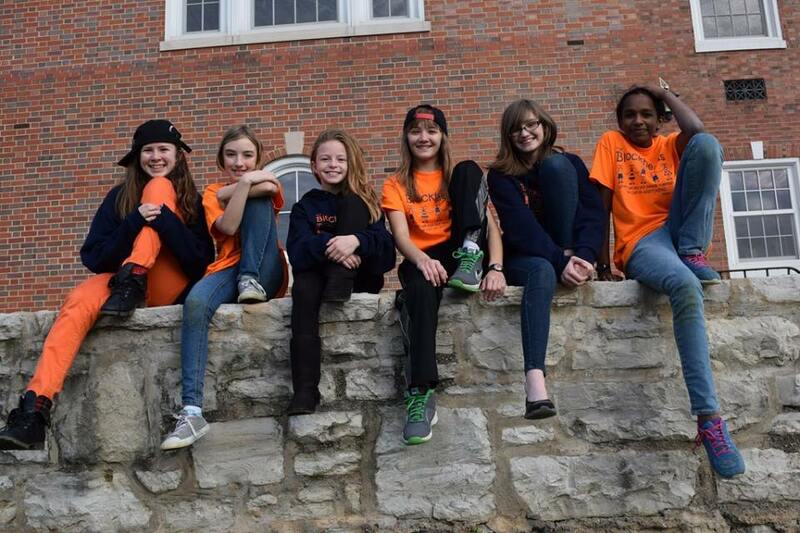 The “Blockheads” of Troop #1484 from Girl Scouts of Eastern Missouri have been invited to the 2016 White House Science Fair to show off their STEM project and innovative thinking that’s helping to make our world a better, cleaner, (and stickier) place. The Blockheads participated in the national FIRST LEGO League challenge, researching trash and waste. Zeroing in on Styrofoam (polystyrene), which is not recyclable and takes 500 years to decompose in a landfill, the Girl Scouts learned that clean Styrofoam can be dissolved in a non-toxic solution called d-limonene, and they worked to reduce a refrigerator-sized amount of polystyrene to three cups of a gooey substance. They created and branded a kit called the “Eco Bin” (a metal bin plus d-limonene and instructions for adding water), for families and households to reduce their polystyrene waste. But that was just the beginning! Since Girl Scouts always take the next step, the Blockheads experimented with the gooey substance and, on discovering it’s a stronger adhesive than the average glue, used it to create their science fair display and art projects. What’s more, they bottled and branded the substance, naming it “GlOo,” and marketed it to a local school and to other Girl Scout troops for art projects. The girls are now pursuing a patent for these two powerful solutions to a significant ecological problem. Additionally, the “Supergirls” of Girl Scouts of Eastern Oklahoma, who displayed their automatic page-turner at last year’s White House Science Fair, have been invited to return to provide a “look back” at the projects of the past six years and to speak on a panel about their experience. With troops from two councils on hand at today’s science fair to demonstrate their skills for President Obama, it’s safe to say Girl Scouts is proving that girls are the STEM leaders we need to make our world a better place and to build our future. Meet the rest of the brilliant innovators attending the 2016 White House Science Fair.